A full-service agency with a strong focus on local flavours coupled with a refined aesthetic. Not only do they love to design custom menus for their clients, but they are also able to plan and execute every element of your event from venue selection, booking staff & entertaining, to designing décor & ordering rentals. 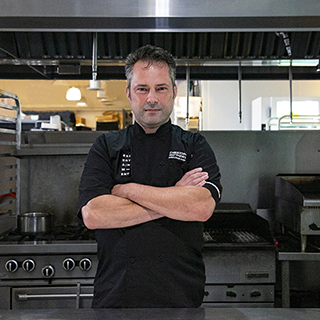 Christopher is an industry veteran, having helmed the kitchens of two of Toronto’s Largest catering companies for over five years each before joining Eatertainment in 2009. 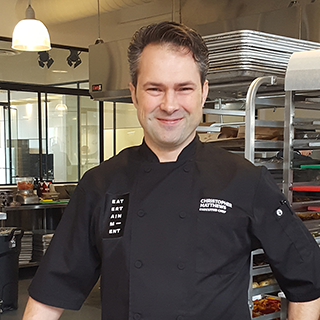 Since his arrival, Chris has overseen the development of two new kitchen facilities and helped created many of the systems that ensure we can flawlessly execute over 800 events each year. Chris is instrumental in the development of new projects and concepts as he leads the culinary team towards new innovations and cutting-edge cuisine.